1. 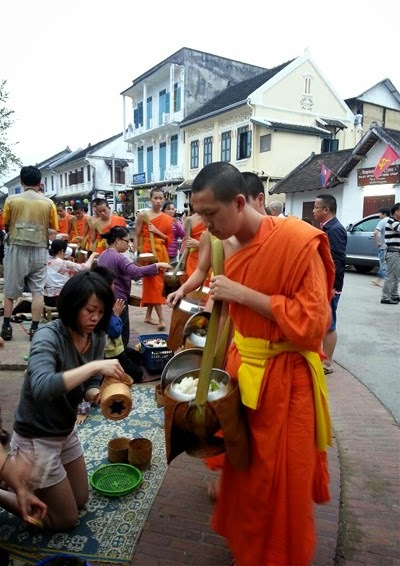 In Luang Prabang, there are many exchange money spots and there exchange rates may be different from each other a little bit. But don’t be too “strict” with this, it’s not a big difference and although Master Card or Visa Card is accepted at many place, they cost 3% of fee. 2. From the airport to the central city, it’s take you about 100,000 kip for a taxi transfer. Another way to save money for transfer is take tuk tuk outside the airport area. 3. 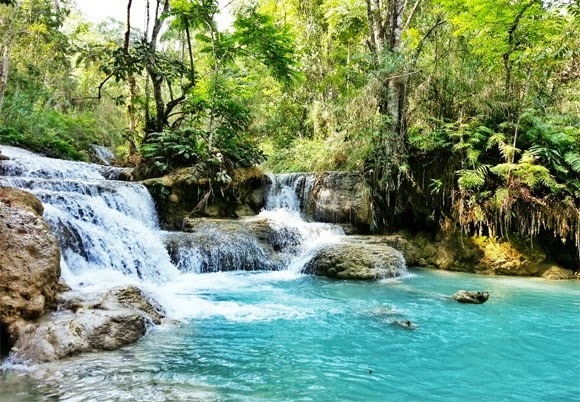 Don’t ever miss Khuang Si waterfall because it’s a little far from city centre but a very worth visiting. If you do not have a package tour already, book a separate tour with local tour planner with 50.000 kip/pax6. 4. There are a lot of hotels in Luang Prabang and they are various. You are recommended to book Mekong riverside hotels for transfer convenience and morning giving alms. 6. Biking in Luang Prabang is also a nice idea to explore the peaceful city. There are many places to hire bikes in the city. Just ask at your hotels reception desk. 7. 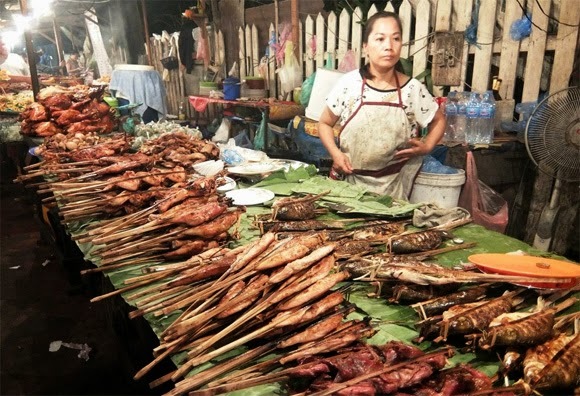 Night Market in Luang Prabang is a lovely place to stroll around the city by night. However, it’s not easy to buy an item at good price. You must know how to bargain. Your advice is doing bargain down 30% of the offered price. 8. Once you are at Night Market, try special vegetarian buffet. 9. Another address is Dyen Lounge on the other back of Nam Khan river. They offer Happy Hours buy 1 get 1 free cocktail and it’s very tasty. Tag: Laos tours, Luxury tours to Laos.